Although T-Mobile was the first company to support Google’s Android operating system, much of the credit for the adoption of Android in the United States goes to Verizon Wireless. The nation’s largest carrier spent over $100 million dollars advertising the original Motorola Droid smartphone in 2009. The results for that campaign were phenomenal, Android quickly overtook Blackberry in Verizon Wireless stores. AT&T is hoping to replicate that success with it’s Nokia Lumia 900 for which they are the sole US Carrier. The Lumia 900 is a great piece of hardware running Microsoft’s Windows Phone 7 operating system. 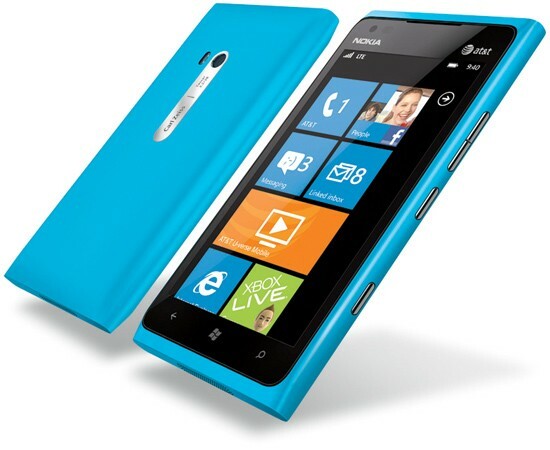 AT&T is hoping to sell lot’s of Lumia 900’s and they are backing it with $150 million dollars in advertising money. Business Insider’s Jim Edward’s doesn’t think that $150 million dollars in advertising for the Lumia 900 is a wise idea. As he points out in this article, Windows Phone is doing so poorly that it wasn’t even mentioned by name in the most recent Nielsen report on smartphone sales. Couple that with the fact that Windows only commands 2% of the app space and the fact that they are “paying” developers to develop on the platform and this may be a recipe for disaster. Advertising Industry publication of record adage.com points out that this is one of the largest ad spends in AT&T’s history. In fact it’s more money than they’ve pumped into iPhone ads. AT&T traditionally uses their advertising dollars to promote it’s network and services. Such is the case with their “that was fast” 4G/LTE campaign and their infamous text talking campaigns that they inherited when they purchased Cingular. AT&T is hoping to replicate the success of being the exclusive carrier for a device. For three years they were the exclusive carrier for the iPhone. Now that Verizon and Sprint also carry the iPhone AT&T has been trying to find one single device to exclusively get behind. AT&T stores will feature the Lumia 900 prominently in their stores. Microsoft has been struggling to gain traction for it’s Windows Phone 7 operating system. After a failed start on their own they quickly partnered with Nokia. Nokia just about shelved the Symbian operating system to go full guns blazing, with Microsoft’s operating system. Microsoft spent a significant amount of money over the summer of 2011 with lifestyle ads showing off the features found in the Windows Phone 7 OS. Those ads didn’t seem to make a dent in ComScore or Nielsen rankings for Smartphone OS market share. In the heyday of Microsoft’s Windows Mobile operating system many consumers and prosumers were enamored by the fact that their phones could so easily sync with Microsoft Exchange and other Microsoft Office products. Cloud based services from Google and other companies, as well as third party applications like Quick Office and Libre Office (Open Office) have started making Microsoft Windows products irrelevant on mobile phones.